As a parent, all you want is to see your child succeed. Autism Spectrum Disorder (ASD) can be an emotional roller coaster. The symptoms of ASD usually begin to emerge by age 2 or 3. This may include the inability to perceive sights and sounds adequately, resistance to change in daily routines, poor motor skills, repetitive behaviors or movements, hyper-focus on one thing and loud outbursts. ASD develops as a result of a complex combination of factors, however, the truth is research is inconclusive. Studies have shown an accelerated increase of stress to a developing toddler’s system can contribute to ASD, including exposure to medications, vaccines, environment, diet, lifestyle, inflammation and genetics. 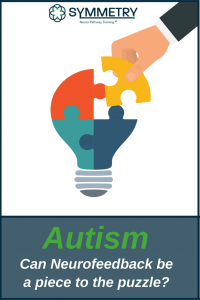 How do irregular brain wave patterns affect Autism? 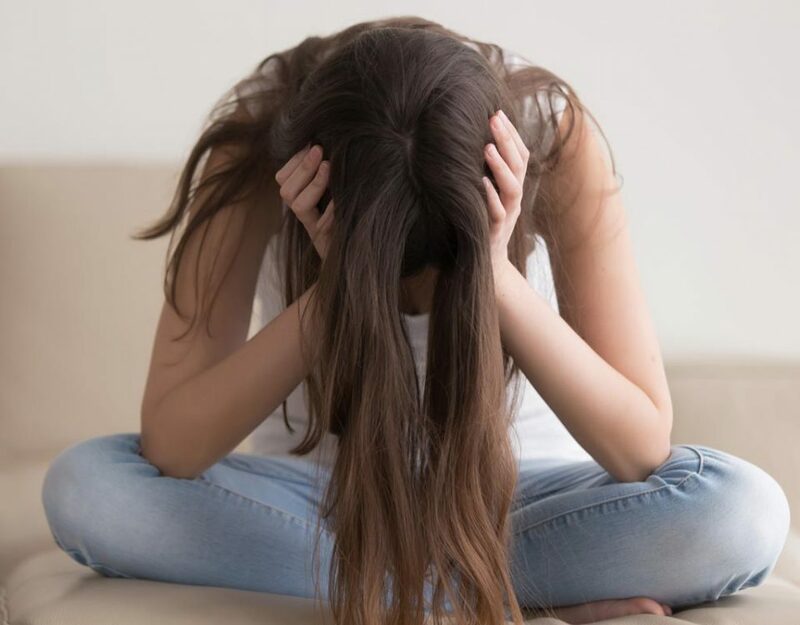 Studies indicate a common find in individuals with ASD by a irregular connectivity in some areas of the brain. Our brain produces certain brain wave patterns that communicate with one another at rapid speeds. 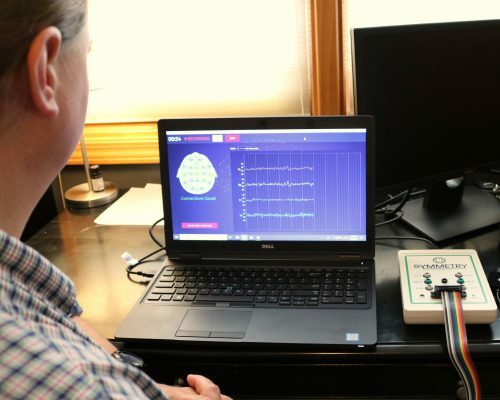 These brain waves can control our emotions, attitudes, and actions. However, if the timing of this communication is off even slightly, the ability to learn and function can be impaired. 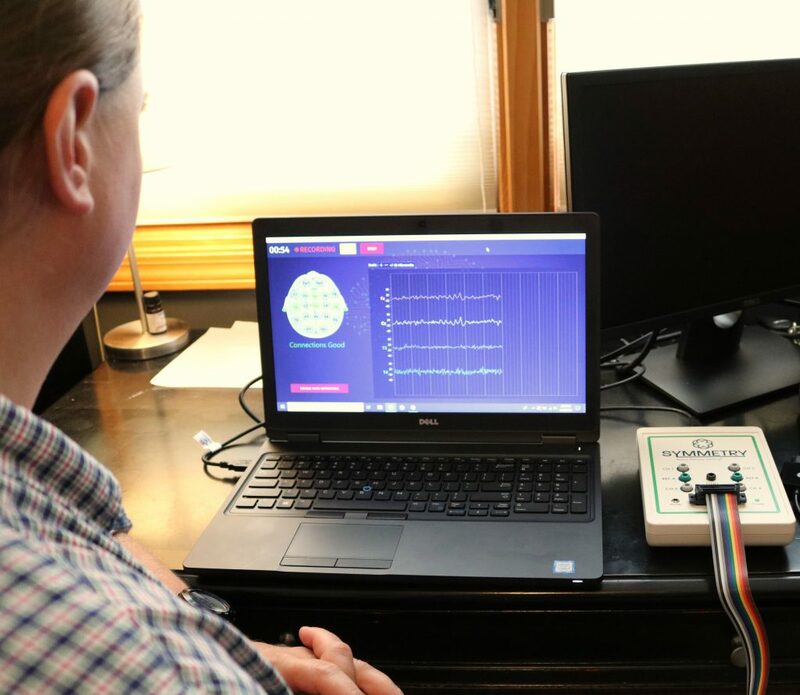 This creates abnormalities in attention, memory processes, drowsiness, and movement control because our brainwaves cannot make the proper connections. When this occurs we can experience mood swings, difficulty in learning, and the inability to focus. How does SYMMETRY Neuro-Pathway Training help the symptoms of Autism? There are simple exercises you can do to train the brain to produce proper brain waves, which can help alleviate symptoms associated with ASD. This allows the brain to make the connections it needs to, using less effort and energy. When this happens, you are able to gain greater control of your emotions, your self-control increases, and you are able to improve focus. Siegfried Othmer, Ph.D, Chief Scientist of the EEG Institute in Woodland Hills, CA, wrote “The brain is challenged from moment to moment to move toward more functional states, and gradually the brain learns to live there. By means of brain training, the highly activated (over-aroused) nervous system is calmed down. The training can also be targeted to promote emotional regulation, so that children are helped in their relationships with parents, siblings, and classmates. Further, the training can be targeted to help with language function. Motor control is usually improved as well. Each session will include Neurofeedback training through various exercises such as games and videos, biofeedback training to sync breathing with heart rate and increase oxygen flow throughout the body, coaching and consultations, and progress tracking.